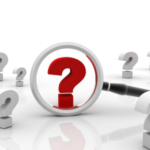 Asset Searches Plus » When And Why Do You Need An Asset Search? Asset Search services are one of those areas that most people know little about until they need them. For years personal injury attorneys have conducted asset searches to satisfy their due diligence in determining the nature of a defendant or potential defendant’s assets and liabilities- who is at fault for a motor vehicle accident or other tort. They are aware that a defendant’s insurance may not be sufficient to satisfy the damages that their client has sustained as a result of someone else’s negligence. When there is insufficient insurance coverage, both the attorney and client must decide weather to go after the defendant’s personal assets such as their real estate, boats, cars, planes and so forth. The way to determine the scope and nature of these assets, for attachment purposes, is to conduct an asset search. An attorney’s failure to adequately inform their client that they may be entitled to compensation above and beyond the defendant’s insurance coverage may be grounds for malpractice. Therefore, the majority of personal injury attorney’s conduct and asset search if they believe that the insurance available is or may be insufficient. At the very least, the attorney will satisfy their due diligence by recommending that their client order and pay for an asset search and if they decline, then the loss of remuneration due to the client will be the client’s own doing and not that of their attorney. Likewise, prudent Divorce attorneys have long used asset searches to verify financial statements submitted in a divorce or modification proceeding and have used them as an informative tool when conducting discovery. They realize that reluctant spouses tend to be more responsive in disclosing their assets when confronted with discovery tools such as interrogatories, production of document requests or deposition questions gleamed from detailed and specific information obtained in an asset search. They also realize that assets of a spouse can be concealed or hidden after a divorce is filed and that conducting an asset search before and after a divorce is filed is essential in prosecuting an action and protecting both their clients and their children’s best interest. Therefore, timing can be very important as to when you should conduct an asset search. Some states even have laws allowing your attorney to attach a potential defendant’s assets at the very beginning of a case if you have a substantial likelihood of prevailing with your lawsuit. Moreover, litigating a case and using competent attorneys can be expensive, so you want to make sure there is a pot of gold at the end of the rainbow. If the defendant does not have sufficient assets or their liabilities exceed their assets, then a lawsuit is a waste of time and money. For usually less than a few hundred dollars, an asset search will reveal a subject’s assets at the outset of a case as well as disclose a subject’s liabilities such as with existing state and federal tax liens, uniform commercial code liens, bankruptcies and other pending lawsuits. For example, at Asset Searches Plus, Inc., www.assetsearchesplus.com , the cost of a nationwide asset search is only $ 185 and includes both assets and liabilities and the reports are forwarded to you in less than a few days. Compared with the cost of litigating a lawsuit which can run into the tens of thousands of dollars and take years to litigate, the cost of conducting an asset search is short money and well worth the time and effort.